Everything you need to “refuel” your office! 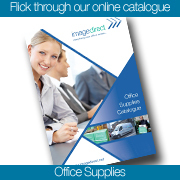 We supply a full range of facilities management supplies at your convenience. We provide a professional quality range to fulfil all your day-today cleaning requirements and safe environment. Our range is well established and recognised by professionals as a leading brand. All our products have been extensively tested and completed a rigorous selection process of approval. This particular procurement area is often unstructured lacking effective control with sometimes ad-hoc procurement via service contractors or even petty cash purchases. You can now incorporate the facilities management range into your standard portfolio and service level to effectively control product cost and maximise procurement efficiencies.